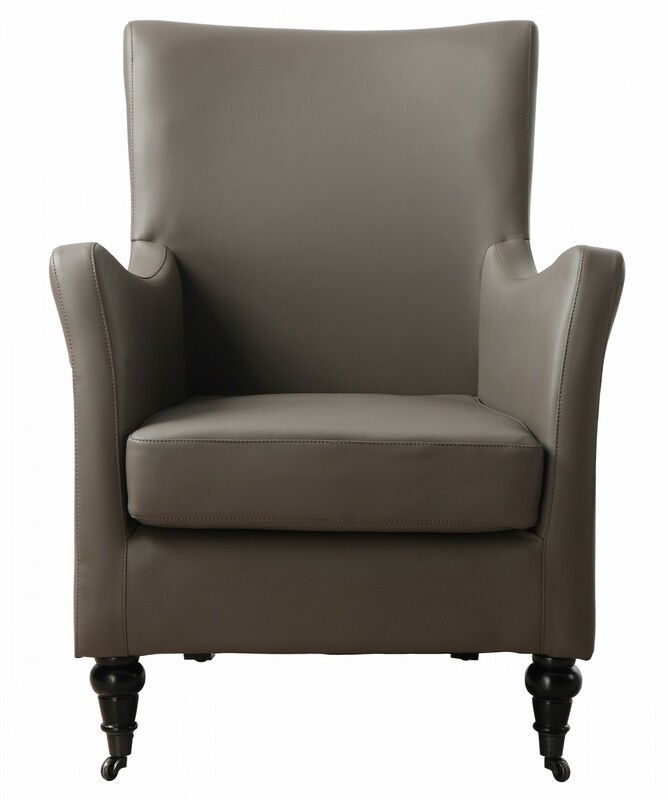 A magnificent design, the Carlyle Chair astounds all who observe its curved arms and sharp look. 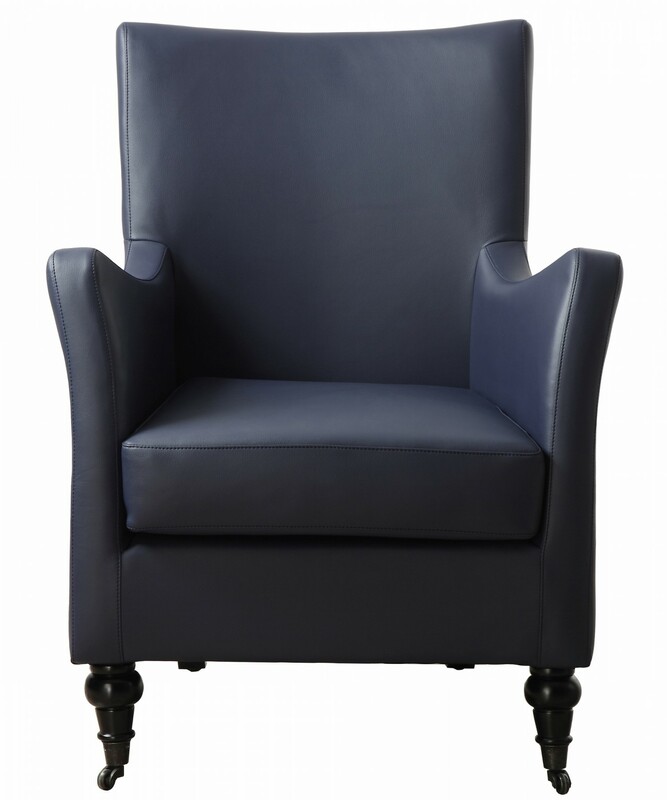 Enveloped in a smooth leather, it is available in Indigo and Desert Grey colors which only enhance this chairs fashionable appeal. Fashion is the unity of two contrary elements. Cutting edge and bold, yet practical and trend setting. At TOV Furniture we emulate this philosophy. Our down to earth construction and an unyielding dedication to quality mean a more sensible and reliable product. Our passion for creativity and design mean a more chic and contemporary product. These values are the cornerstone of our company, and the key to our success. Starting as a boutique custom outdoor furniture manufacturer just a few short years ago, our company has been in a constant state of motion and growth. In 2013 we introduced a highly successful quickship program for our entire indoor catalog. With TOV Furniture you know you are getting the quality you need, and the service you deserve. They say inspiration is the beauty you see in everyday life. Our indoor collection is inspired by our hometown, New York City. Each piece constitutes another element of what makes New York the most inspirational city in the world. The hustle and bustle of Grand Central Station on the backdrop of a grand ballroom. The creativity of Madison Avenue juxtaposed with the focus of Wall Street. The serenity of Central Park in midst of the greatest metropolis on Earth.